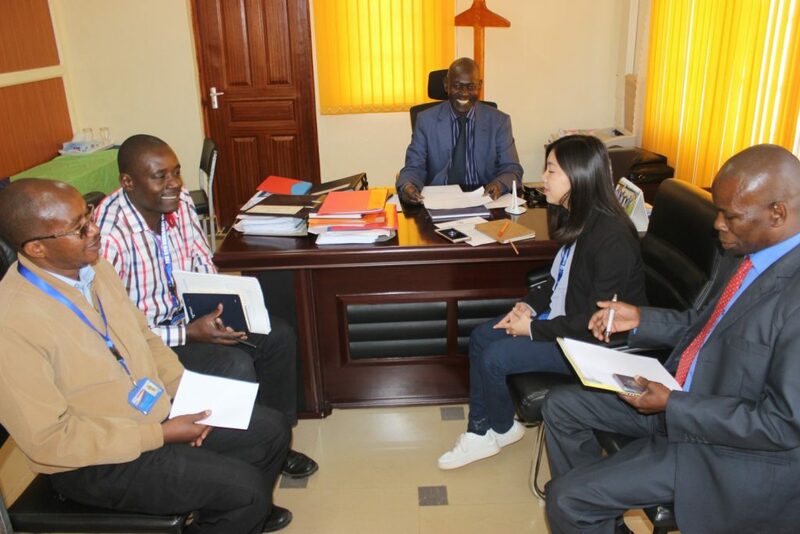 Machakos University upped its efforts to be a preferred University of Scholarly Excellence by reaching out to Huawei Technologies LTD for collaborations in areas that support teaching, research and community service. This was revealed when Ms. Suky Su, the Huawei Technologies Training Manager Country Representative in Kenya visited the University on Thursday, 17th July, 2018. Ms. Suky was received by Prof. Peter Mwita (the Deputy Vice-Chancellor, Research Innovation and Linkages) on behalf of the Vice-Chancellor and held talks with University Top Management, before proceeding to have a session with students. Ms. Suky Su, has a word with Prof. Peter Mwita in his office with other members of staff of the University. During the discussion, it emerged that the University will start offer Huawei courses in ICT from September this year. This will equip our students and graduates with exceptional and competitive employable skills relevant in the industry and job market. Machakos University becomes among the few privileged universities in Africa to offer these programmes. Already, the University has sent some members of Staff from the Department of Computer and Information Technology on training organized by Huawei Kenya, for certification to be the teaching staff of these courses. Ms. Suky in a group photo with members of University Management.